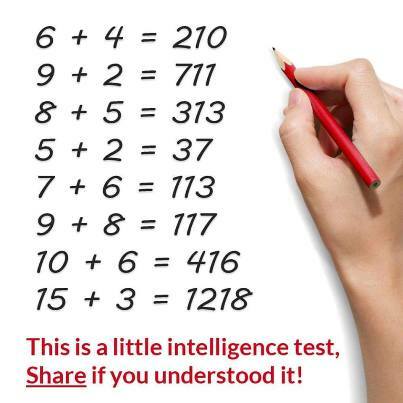 This one is a quick inteliigence test using numbers and reasoning. A little more tricky perhaps… have you got it yet? Type your answer below if you think you have!